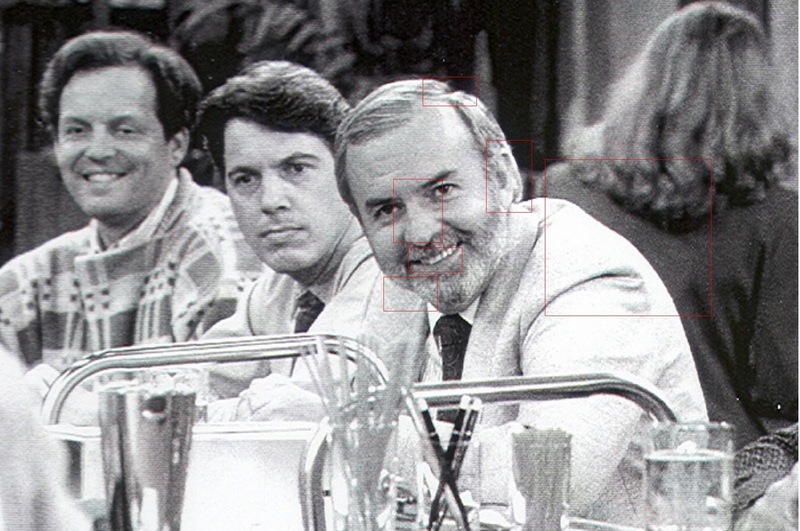 To the very best of my knowledge the following set of pictures of David L. Angell, supposed writer/producer of Cheers and Frasier and alleged passenger on American Airlines Flight 11, have never been released to the public or posted elsewhere - with one exception (see below). 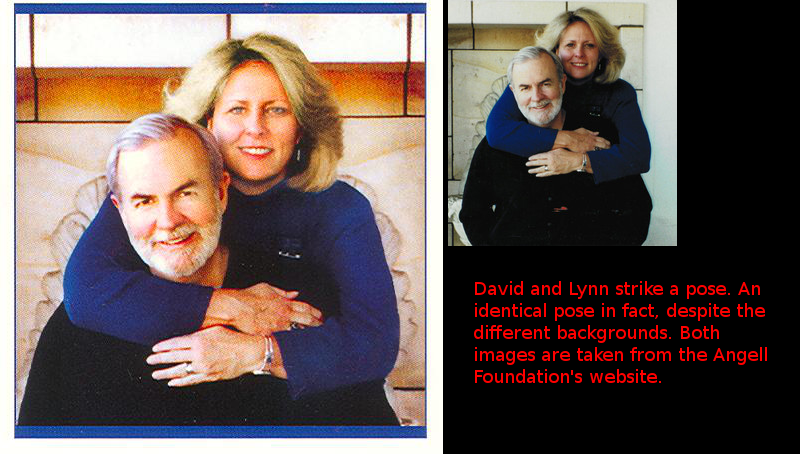 To date, the only images of David and Lynn available in the public domain are the identical ‘stock photos’ found on Wikipedia and various 9/11 memorial sites. 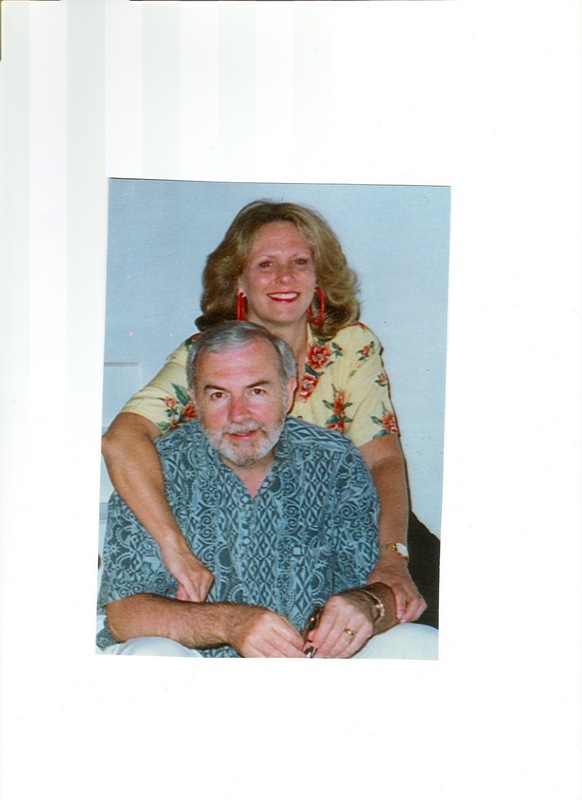 Consequently, I firmly believe that these new images are important new evidence, evidence which supports the contention that, like other alleged ‘victims’ of 9/11, David L. Angell and his wife, Lynn E. Angell, never existed in the sense that you and I exist. In other words, that David and Lynn Angell are fabrications or ‘vicsims’. I originally posted these images on the September Clues "Reality Shack" forum on October 7 2010. Within minutes of posting I received a reply from forum administrator simonshack, demanding that I provide the source of the images. Being unwilling to post the source publicly, I sent this information to simonshack in the form of a private message. Thirty minutes later I discovered that my post AND my account had been deleted. No explanation was offered and two subsequent requests for an explanation, in the form of emails to the forum’s second administrator, hoi.polloi, went unanswered. I will leave you, the reader, to draw your own conclusions as to the reason why simonshack and hoi.polloi do not want members of their Reality Shack forum to see these important images. In light of the above I now consider the source of these images to be compromised and thus likely to be 'locked out' at any time. Accordingly, I'm happy to make the source publicly available. The source is in fact The Angell Foundation, a charitable trust that controls the Angell's alleged $55 million estate and represents (or misrepresents, according to your point of view) them in this life. When viewing these images it's worth remembering that David's sister, Claire, and Lynn's brother, Thomas, are listed as members of the Foundation's Advisory Committee. It seems reasonable to assume that Claire and Thomas must have access to a whole host of quality images of David and Lynn, a point that makes the extremely dubious nature of these images (particularly the very obviously 'Photoshopped' image that appears on the Foundation's official brochure) even more salient, not to mention damning. 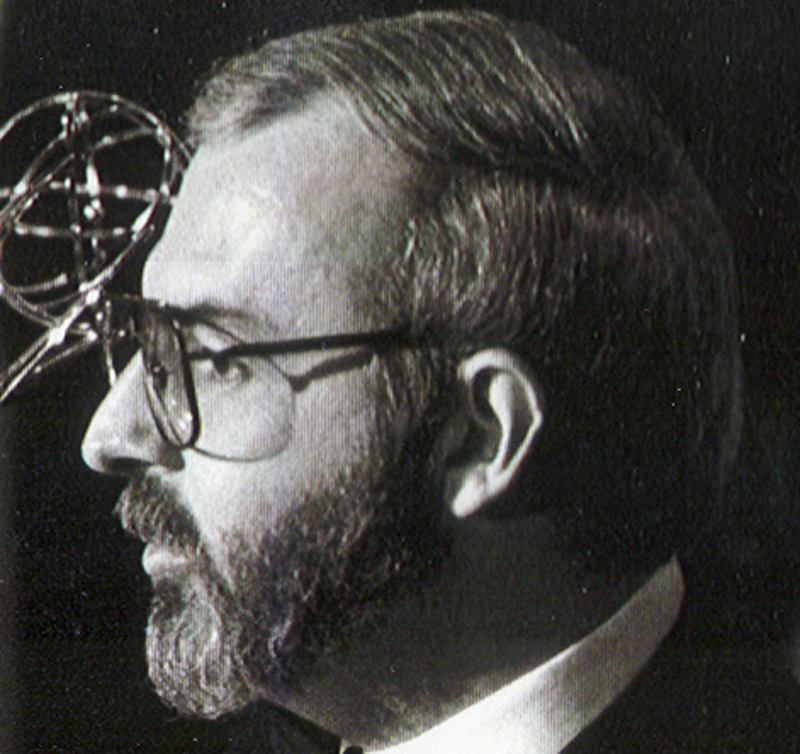 The images can be found on The Angell Foundation's website. Note that these images do not appear on the website per se but can be found in the folders that form the website's underlying directory tree, along with other files and documents clearly not intended for public consumption. Below are the original images, together with explanatory notes and enlargements highlighting the many peculiarities. Some of these images are very large, so I recommend that you save them to your PC and view them in the image editor of your choice. This image of David with his brother, the bishop, is just terrible. Forget Photoshop, this looks like Amiga Deluxe Paint II territory. 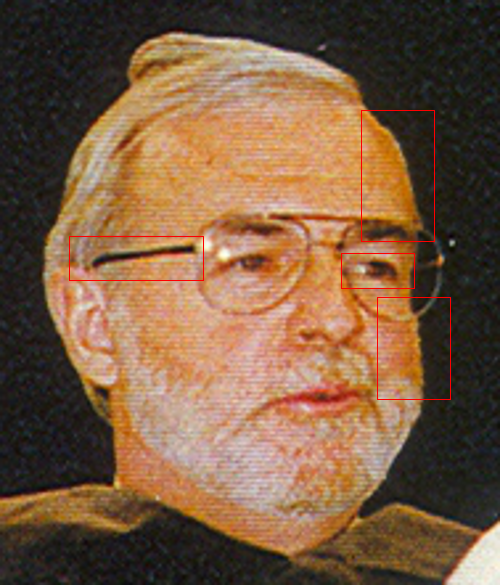 The face is visibly misaligned in parts and there's something very peculiar happening with David's glasses, in terms of sizing, the way they sit and the way the arms of his glasses appear to be 'drawn on'. 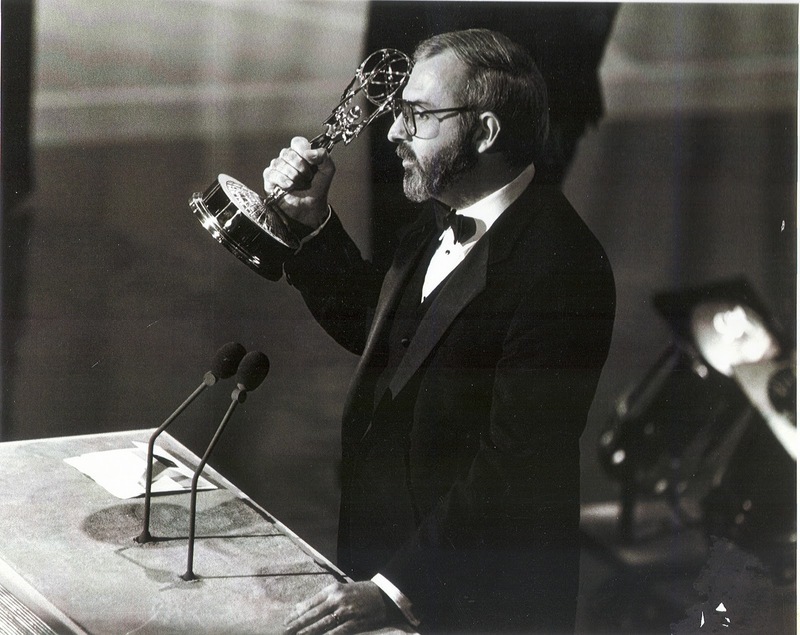 This picture of David receiving an Emmy Award is no better. Scroll all the way to the right, zoom in, then scroll down. Note that two sections of this image are slightly misaligned. Scroll to the right again and notice that these two misalignments just happen to coincide with where David face appears in the image. Note the strange cast and texture of David's face in comparison with the forehead and the misaligned strands of hair. Notice also that David's arm is raised in triumph yet his face is a devoid of any emotion whatsoever. His face looks like an artificially smooth expressionless mask because it IS quite literally an artificially smooth expressionless mask. 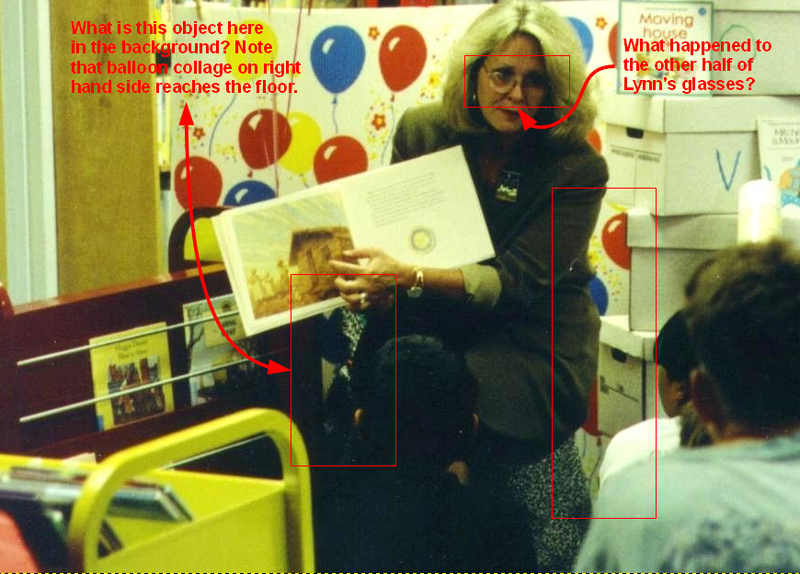 This picture of Lynn Angel reading to children at Hillsides is also very peculiar. Lynn is missing one half of her glasses. Where have we seen this before? What is Lynn sitting on in this picture? 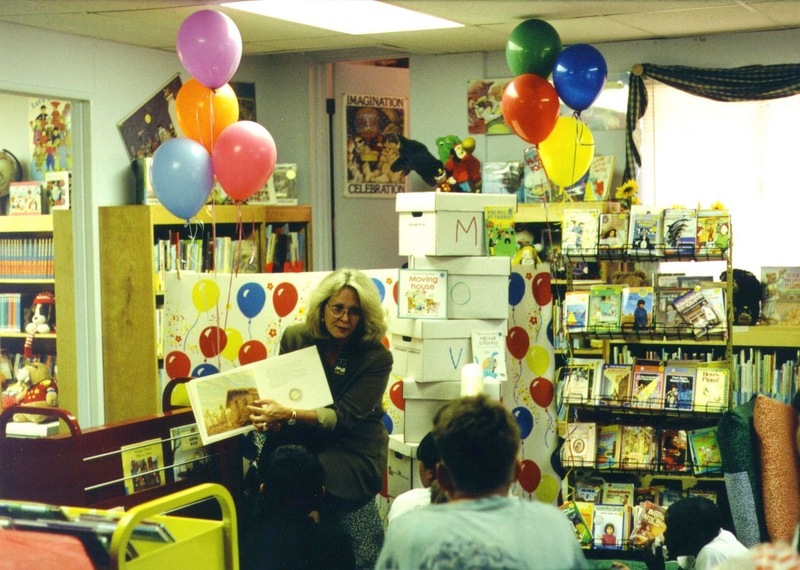 Also, notice that on the right hand side the balloon collage reaches all the way to the floor, whereas to the left (on the floor between Lynn and the book cart) we see a strange object with distinctly odd lighting. To my eye, this object looks like it belongs in a picture taken outdoors. 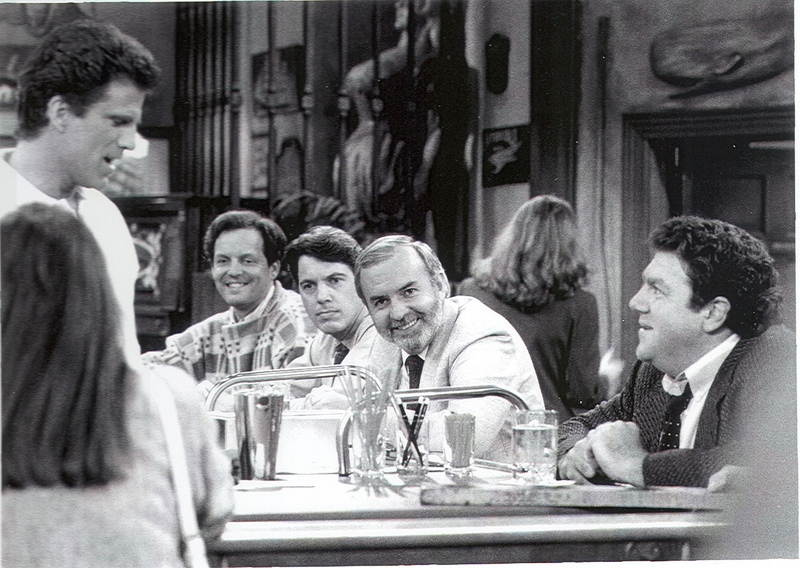 The full size picture of David on the Cheers set is just hilarious. Notice the crazy teeth, distorted jaw line, the very visible masking over his nose, the right ear that appears to be on a journey all of it's own, and the strange rectangular outline on the jacket of the woman just behind. Similarly hilarious is the picture of David and Lynn 'at home'. Ignoring the obvious cardboard cutout appearances, it looks as if Lynn has just picked up David's severed left arm and is trying to hold it in place. David's watch strap looks a bit too tight as well: it appears to disappear into his wrist. 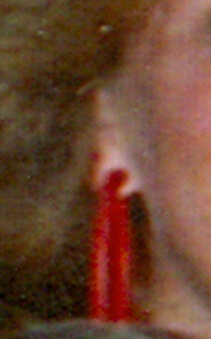 Notice that Lynne's right ear is completely featureless and appears to be 'scraped back' from her face at a very odd angle. Notice also the disproportionate amount of red-eye: just a hint for David, whereas Lynne looks like The Terminator. 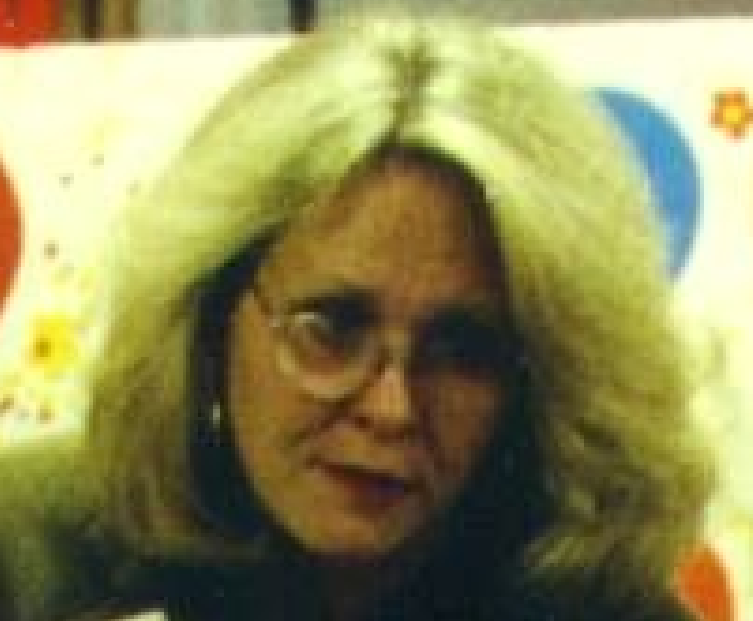 One final point: is Lynn the only woman in the world who never alters her hairstyle? 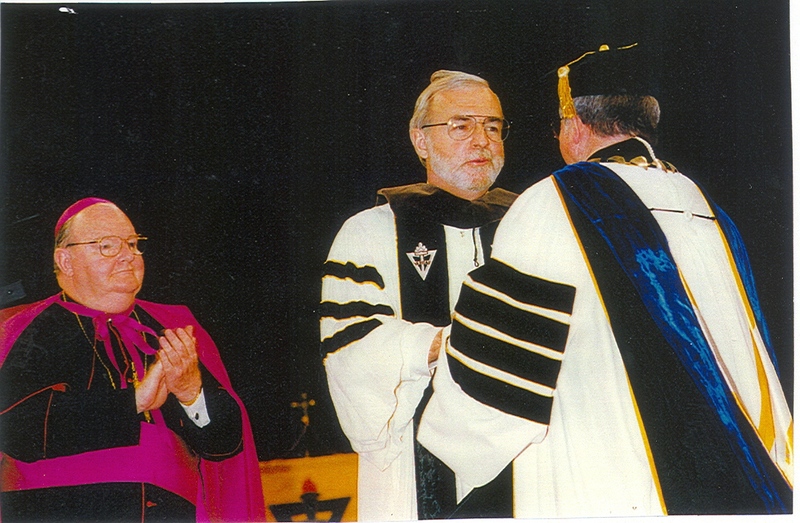 This image appears in the official Angell Foundation brochure. It's supposed to be an identical, albeit highly saturated, version of an image that appears on the Angell Foundation's website. Notice that the backgrounds are different and that the eyes are very, very odd indeed. 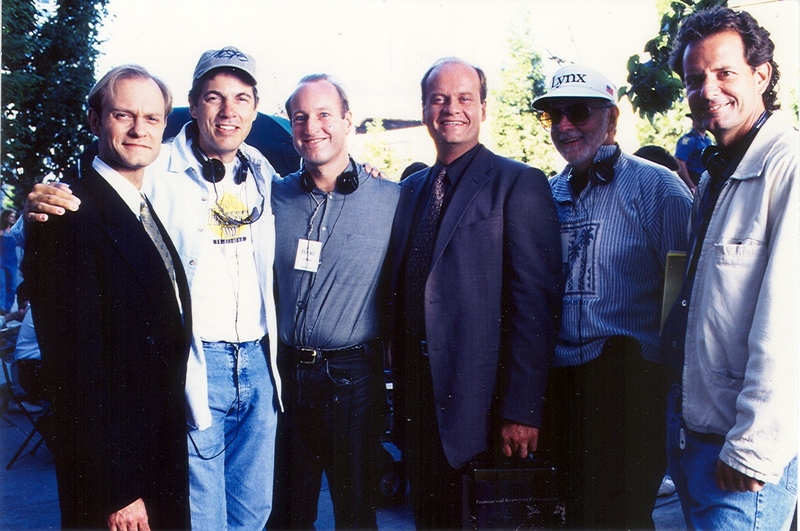 Here's David with some of the Frasier crew. Note that David is the only person in shade and observe the odd 'reflections' (or are we supposed to be 'looking through' the lens to the trees in the background?) 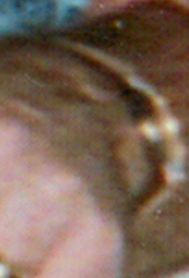 and disjointed tinting in the right hand lens of his glasses, the way the upper part of his right eye socket (as seen in silhouette through the same lens) seems to curve away from his forehead, and the rather odd left ear. What is the point of all this crap? David and Lynne Angell were wonderful people who died on that tragic day. I have an email from that that was sent to me on September 10, 2001 saying that they were heading to LA. Get rid of this junk. How could you have time for this rubbish? David Angell was a star in modern comedy, just watch him on youtube or just go and visit his family in east coast. Even in Iran where I come from, such stupid theories do not exist except in the sick mind of Ahmadinejad sham of a president who has doubted even the holocaust. You should delete this fabricated article and see a shrink asap. You could apply to www.cluesforum.info ... I think your work will be welcome there.